The booster fan is very small yet packs some serious punch when it comes to moving air. I place one in front of the ozone generator (on the outlet end of the machine where ozone exits) in a manner that allows it to help pull more oxygen through the machine and thus create more ozone. As a general rule the more oxygen that runs through the machine the more ozone it will create. However there are limits to this rule and you don't want to have too much oxygen rapidly passing through the chamber or you will eventually start to get diminishing returns. The Zippi fan creates just the right amount of air pull to help increase the ozone production without exceeding maximum efficiency. By placing the Zippi fan on the outlet end of the ozone generator you also help to distribute the ozone gas away from the machine and into your desired treatment area. 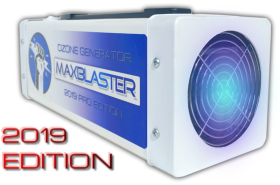 This reduces the chances that ozone will simply return through the machine and recycle itself and helps to ensure you are maximizing the ozone concentration in your desired target. The second reason I like this fan so much is because it has cloth blades and also rotates so that you can easily point it straight upwards. 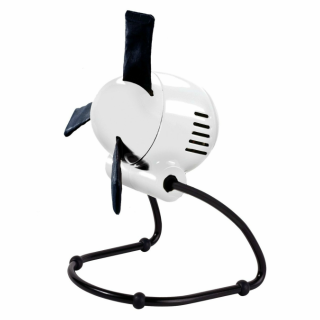 In fact you can stick your fingers directly into the fan while it is in use and the blades simply come to a stop. By pointing the fan straight upwards you encourage the ozone to move upwards in the treatment area. Because ozone is slightly heavier than oxygen it is better to shoot it upwards in an effort to help distribute it more evenly throughout the space as your treatment is in progress.